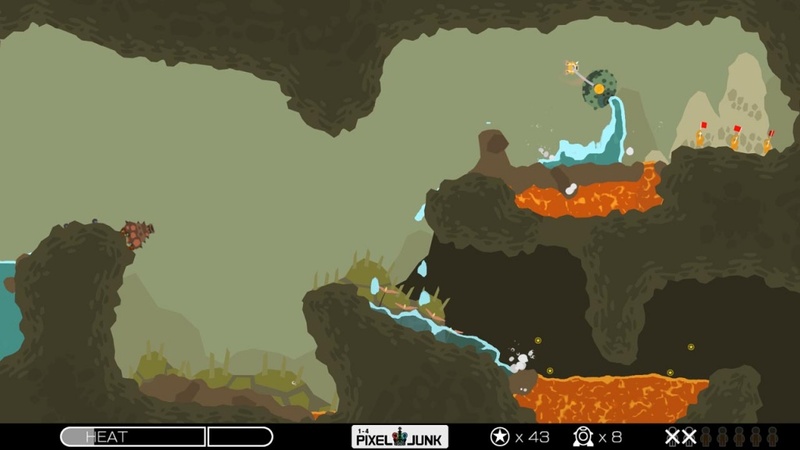 Pixeljunk, a name in innovation and original content is bringing us something original, and innovative. 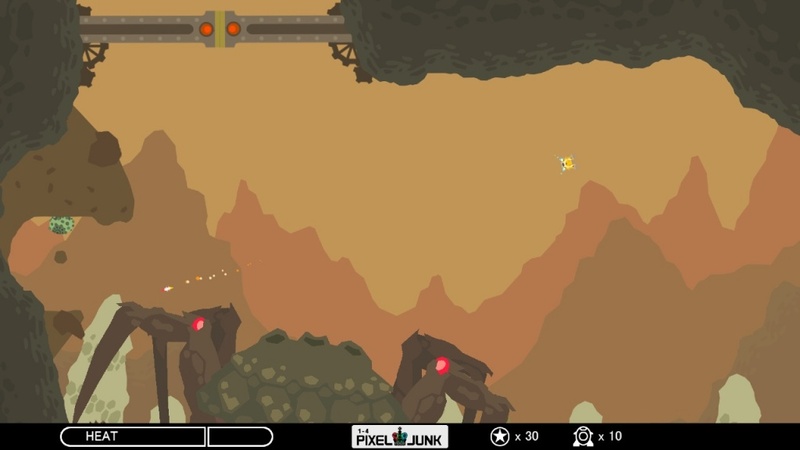 Out of this latest Pixeljunk news, we get Pixeljunk Shooter, a co-op side-scrolling shooter that we can't narrow down to a type of game to compare it to. 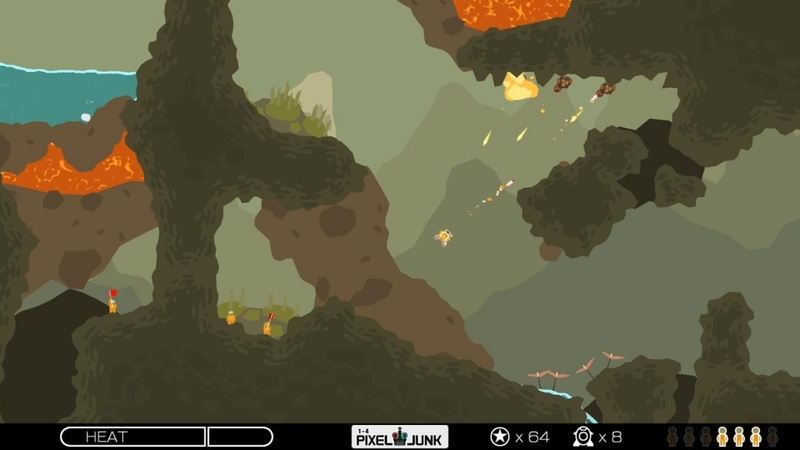 You are a ship of sorts, changing an environment by shooting rocks to blend lava and water together to make usable terrain, while saving miners stuck in these underground caverns. Given a certain quota of miners to save in each level, it's a good idea not to drown or boil them to death. 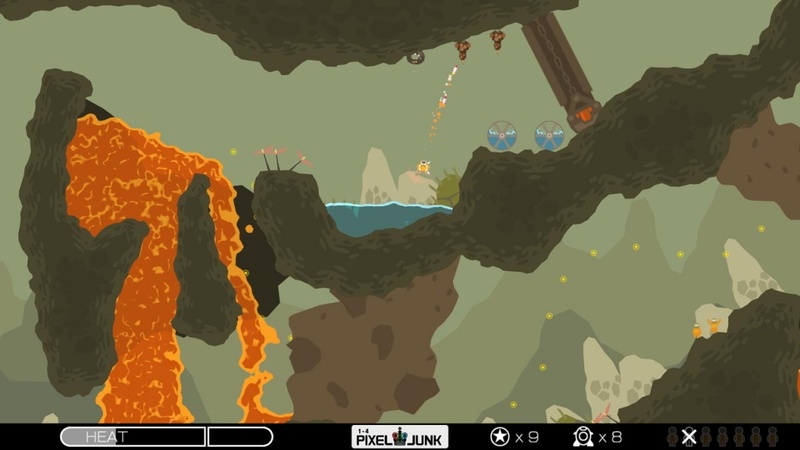 It doesn't sound like much, but when you see the physics engine in play, you'll think otherwise. Many times the lava or water will be in caverns above your ship, and you're not quite sure how much will actually come pouring out - so it's a good idea to have backup ready. Backup in the form of co-op is our favorite, and Kotaku took the game on by co-op to deliver some details. 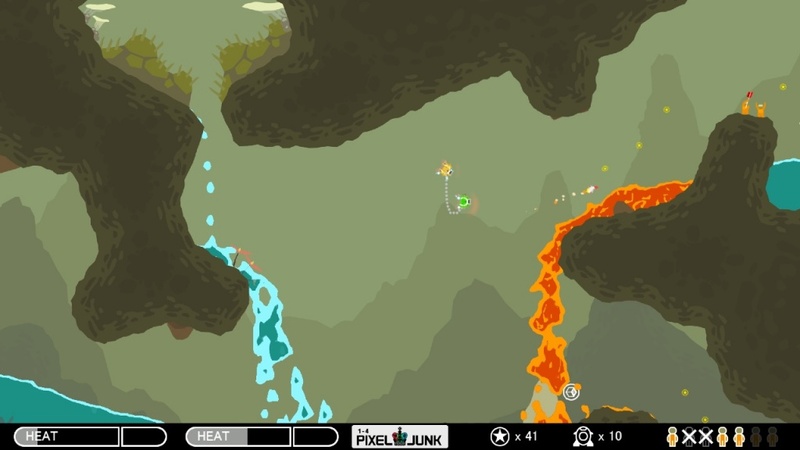 Each player controls their own ship, and will use the environment to their advantage, much like the single player mode. 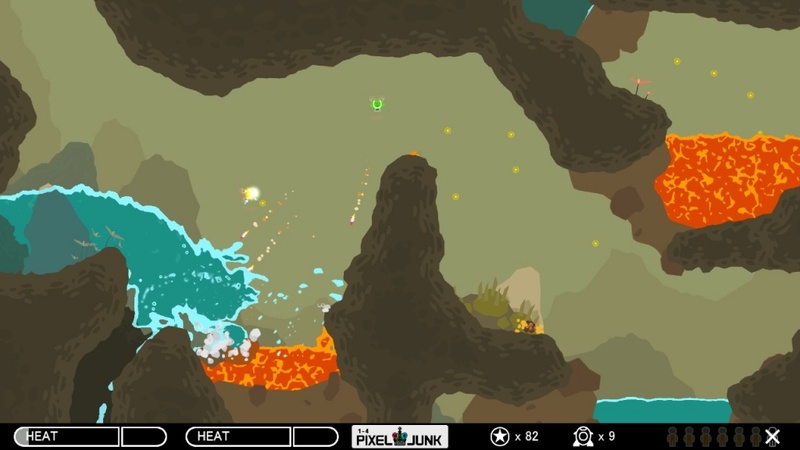 Unlike the single player mode, ships will utilize effective co-op to help each other out when one ship is in trouble, as well as tag teaming obstacles and rescuing the most miners. The one element many will find distracting is how much fun it can be to shoot, boil, or drown the other ship - just because they can. Of course, we encourage actually playing the game, how you decide to spend your time is up to you. The only complaint reported by Kotaku was the mysterious lack of release date. Hinted at the final quarter of the year, it's becoming apparent that we don't exactly want to wait. Otherwise, as a testiment to how fun the game is, Kotaku's Mike Fahey gave his final thoughts promoting the co-op. 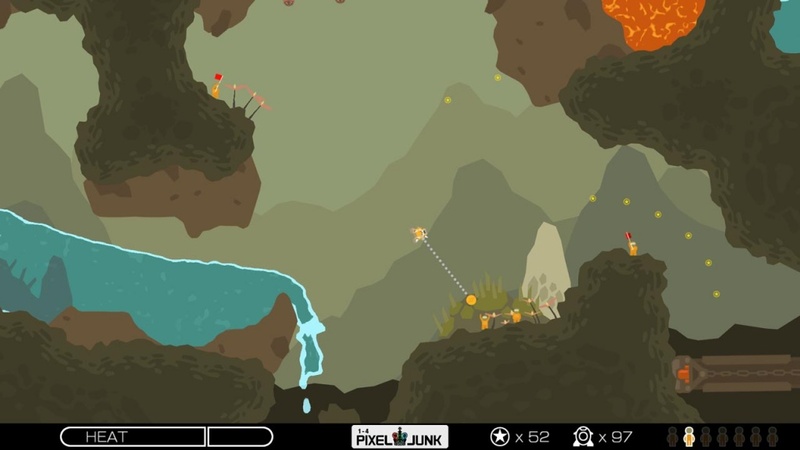 "After playing through some of PixelJunk Shooter cooperatively, I'm not sure I could play the single player game without placing an additional controller next to me on the couch, turning to look at it every now and again, a single tear running down my cheek. 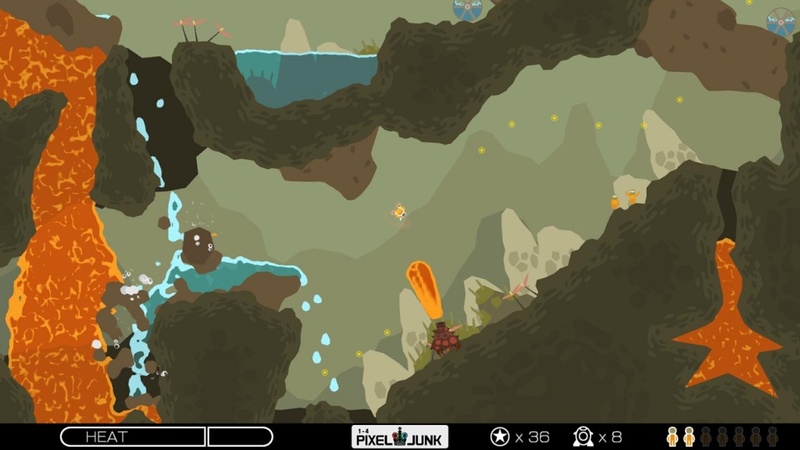 One day there will be a PixelJunk game for everyone, and this one just might be mine." Page created in 0.3615 seconds.